From the day diamonds have been used for making rings, Cluster rings have been made. Cluster ring are very unique and popular in their own way. Cluster rings are available in a wide range of designs that comprises both very traditional and more contemporary, fashionable feel to them. Each will appeal to each person’s taste along with their budget. 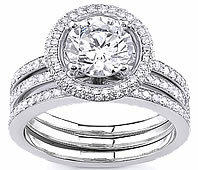 The advantage in diamond cluster rings is the cost. The equal diamond color, clarity and weight in a single diamond would cost considerably more than a cluster of that same weight. 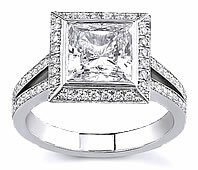 In this way, it is possible to gain a better overall diamond weight at a more affordable price. 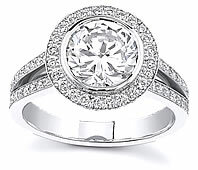 Diamond cluster rings are big in size due to the spacing of a number of diamonds over the ring. Each diamond is held within its own setting. This in turn leads for the need for a larger area of ring for the diamonds to be set into. Some of our cluster rings provide a solitaire like look for a fraction of the cost of a solitaire ring. In many of these designs, each diamond is arranged to form a round solitaire like setting, giving the illusion of a single stone from a distance.